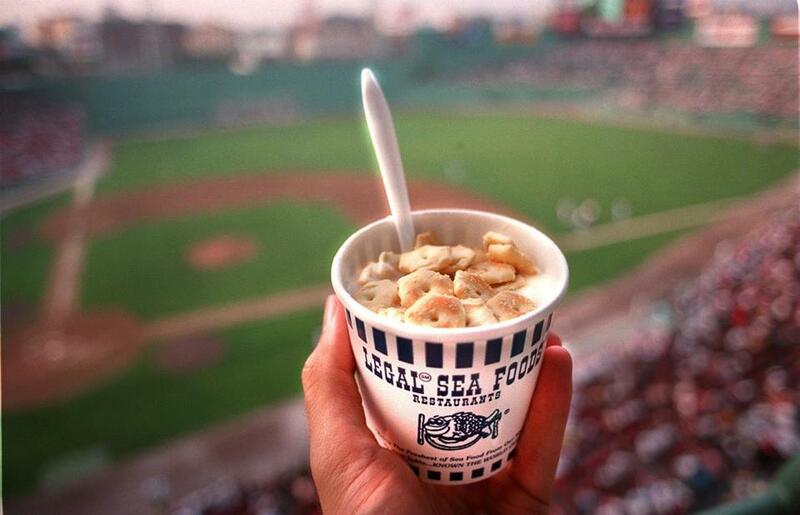 A cup of Legal Sea Foods’ clam chowder, as seen at Fenway Park. WASHINGTON — Ever since Ronald Reagan rode into this town, there’s been a certain custom here regarding Boston seafood. When new presidents move into the White House, the festivities include a steaming hot cup of New England clam chowder. Or at least that used to be the tradition. So far the Boston company that has traditionally supplied chowder, Legal Sea Foods, has been frozen out. Donald Trump’s campaign is built on challenging the status quo in Washington, and that evidently includes menus at inaugural lunches and balls. “I haven’t heard from anybody yet,” said Roger Berkowitz, the CEO of Legal. The reason is a matter of speculation. Could it be because Massachusetts voters didn’t support Trump? Or hard feelings over Legal’s ads making fun of Trump’s reported sensitivity about his small hands? Or is the new administration just charting its own course, unaware of tradition? Berkowitz, for one, is holding out hope that the inaugural committee might still be interested in serving chowder during the weekend. “It’s not partisan chowder,” he explained. “This has nothing to do with politics. . . . Maybe this is the chowder that brings America together — who knows?” It often comes down to the last minute, he said. But the signals in Washington don’t look so great for the company. Laura Condeluci, a spokeswoman for the Joint Congressional Committee on Inaugural Ceremonies, which organizes the luncheon at the Capitol for members of Congress to welcome the new president, said chowder isn’t going to be an option. Boris Epshteyn, a spokesman for Trump’s Presidential Inaugural Committee, which organizes the official balls, said he was unaware both of the Legal Sea Foods tradition and the company’s desire to donate chowder this time. Epshteyn was quick to add that he recently ate at Legal Sea Foods and enjoyed it. “If we don’t serve Legal Sea Foods, it’s not a decision made by Trump,” he said in a brief interview. The tradition began, by Berkowitz’s telling, when Reagan wanted food from all 50 states served at his inaugural. Massachusetts Senator Edward Kennedy suggested something from Legal Sea Foods, and it’s been copied in some form by every president since. In 1997, for Bill Clinton’s second inauguration, Berkowitz flew to Washington and personally ladled out 40 gallons of the company chowder to guests of Kennedy’s office after the inaugural ceremony. In 2013, the chowder was served at an inaugural ball for President Obama. Also that year, then-governor Deval Patrick and other Massachusetts Democrats hosted a pre-inauguration party at Legal Sea Foods in D.C.
Berkowitz declined to describe the lobbying campaign the company is employing to get back on the menu — but there does seem to be an effort afoot. On a recent evening in Washington, a woman said to be a Legal Sea Foods representative approached Republican strategist Ryan Williams at Old Ebbitt Grill near the White House, seemingly at random. When she learned he was a Republican with Boston ties, she asked for help getting attention from Trump’s Presidential Inaugural Committee. “Of course I was aware of the tradition and expressed my sympathy for her struggle,” said Williams, a former staffer to Trump antagonist Mitt Romney. 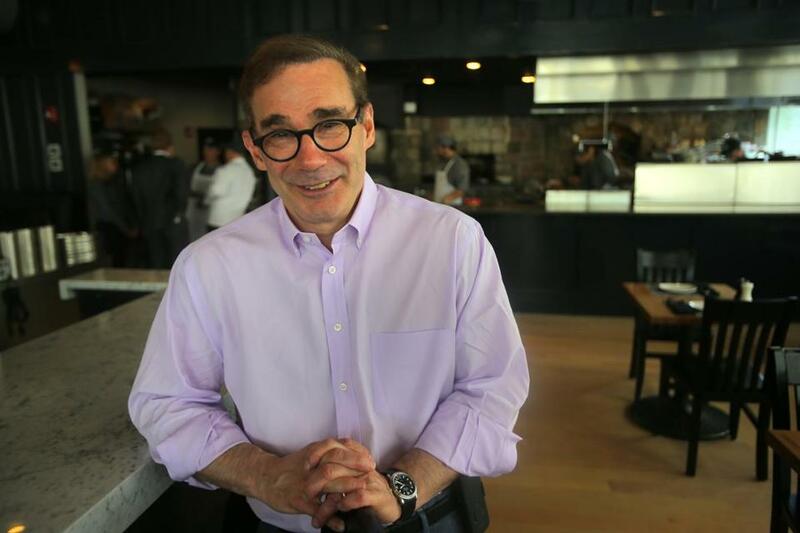 “I haven’t heard from anybody yet,” said Roger Berkowitz, CEO of Legal Sea Foods, when asked if the chain’s clam chowder would be offered at inaugural festivities. Williams, who at that very moment was enjoying a plate of Standish Shore Oysters from Duxbury, suggested showing up and making her case in person. Or even trying the Republican National Committee. “Unfortunately there wasn’t anything more I could do for her, and I wanted to finish my oysters,” he said. Being a part of the inaugural menu also happens to be a staple of the Boston company’s marketing campaign. Legal Sea Foods ran an ad titled “White House” in 2009, timed to Obama’s first inauguration, that featured the sounds of actors as stand-ins for various presidents slurping up the chowder. Berkowitz bemoaned the fact that if his company fails to get on the menu, he’s going to need to add an asterisk to the claim and exclude 2017. The company has celebrated the inauguration of presidents in other ways, including lowering the price of a cup of chowder in 2009 to 44 cents for the incoming 44th president. This year, Legal Sea Foods latched on to the raucous presidential race with its notoriously edgy advertising. The company ran ads mocking Trump’s reported sensitivity about the size of hands. “I can assure you, it’s not the size of your hand that’s important, but rather, the size of your shrimp,” read a caption under a photo of Trump holding up his hands. The Clinton ad was met with some outrage from Massachusetts feminists who declared it misogynistic. The Clinton campaign, however, was less concerned: Legal Sea Foods products were served on the campaign’s plane. 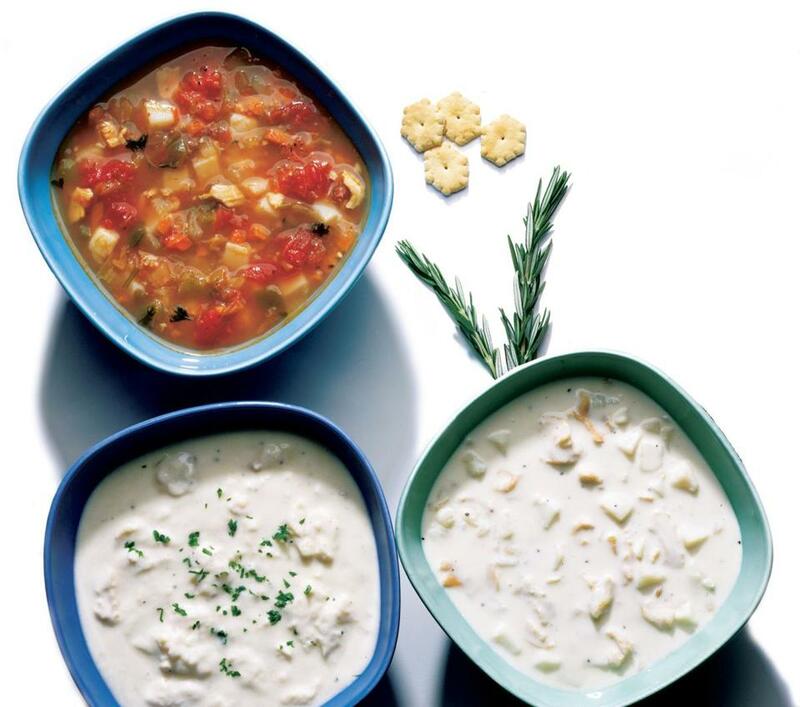 Legal Sea Foods’ clam chowder (bottom).